With the holidays just around the corner, it's the prefect time to share some unique gift wrapping ideas with you. When I give presents, I try to make sure the wrapping is just as special as the present. A well wrapped present makes a gift feel special no matter how much money was spent on it. It says to the receiver, that you took time with it and didn't just quickly throw something into a bag. For ideas and step by step photos, click below. Step 1: Cut cellophane and craft paper to the same size. Ensure that you have enough to cover the present. Place the cellophane on a table. Using craft glue, run the glue along the edges of the cellophane. Sprinkle sequins/glitter all over the cellophane. Try to keep the sequins within the middle of the rectangle of cellophane. Step 2: Place the craft paper over the cellophane (make sure the edges meet up) and press the edges to glue the cellophane to the craft paper. Glueing the edges together means not getting the evil eye from people as they open their presents only to get glitter/sequins all over them. 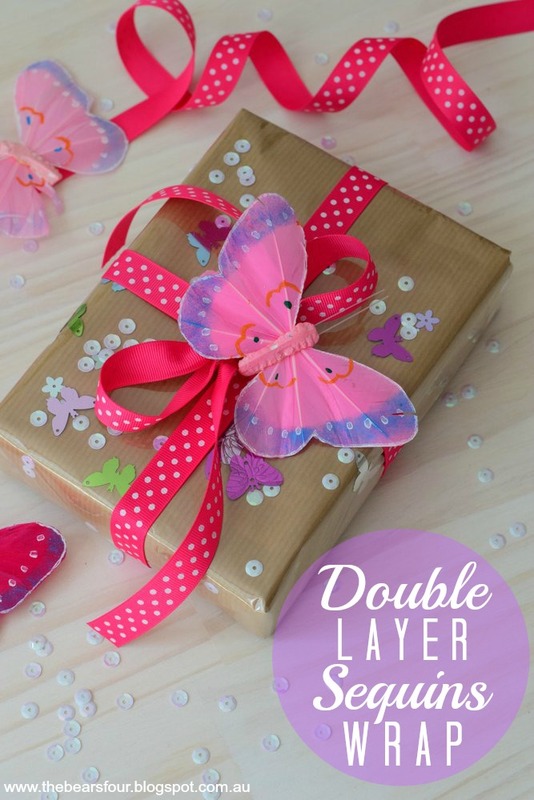 Step 3: Bring both long ends of the now glued double layer wrapping paper together and tape. Step 4: fold the shorts sides in to a triangle point and tape. Step 6: Secure the decoration on top of the bow. For birthdays I like to use giant lollipops, hair accessories or small toys to adorn the presents. For Christmas, candy canes, gingerbread cookies or christmas ornaments looks great on top of presents. 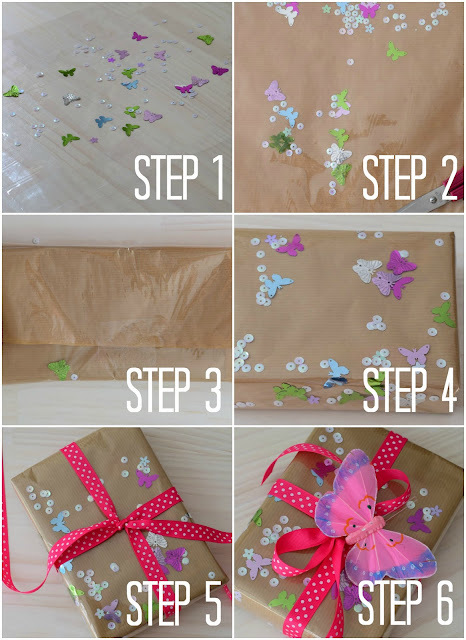 Step 1: Cut craft paper to the correct size for wrapping your present. Draw balloon shapes onto the craft paper. Step 2: Place the cutting mat under the craft paper and using your xacto knife, carefully cut out the balloon shapes. Step 3: Using your coloured paper, cut out squares that are big enough to cover the balloon shapes you cut out. Glue the squares of coloured paper over the cutouts. Once dry, draw balloon strings using a pen onto the paper. 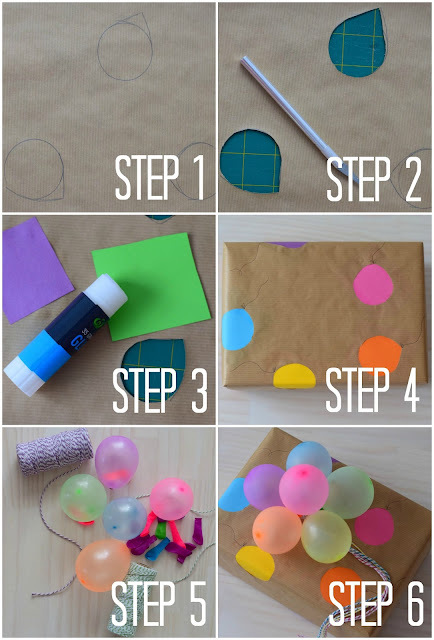 Step 4: Wrap the present with the balloon cutout paper. 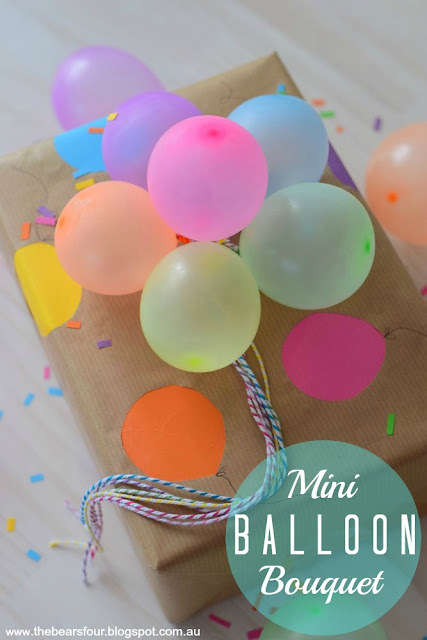 Step 5: Blow up six mini water balloons and tie each end with baker's twine. Step 6: Gather the six balloons together and secure onto the present with tape. Now for the last fun gift wrapping idea that I like to use. This gift wrap can be customised to any occasion, just change the drawings to match the events. For birthdays, I like to draw cars, flowers, hearts, ice cream, etc. For Christmas, it would be fun to draw reindeer, holly, snow flakes, etc. After the gift recipient opens their present, they can paint the paper. Two gifts in one! 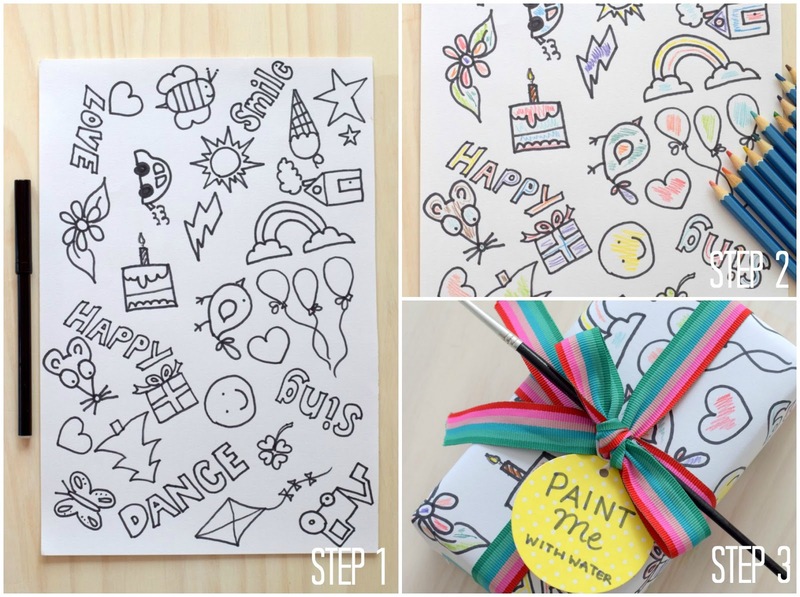 Step 1: Using a permanent black marker, draw pictures on white paper or watercolour paper. Step 2: Using watercolour pencils, lightly colour in a tiny bit of each picture (when wet the colour will spread with a paint brush). 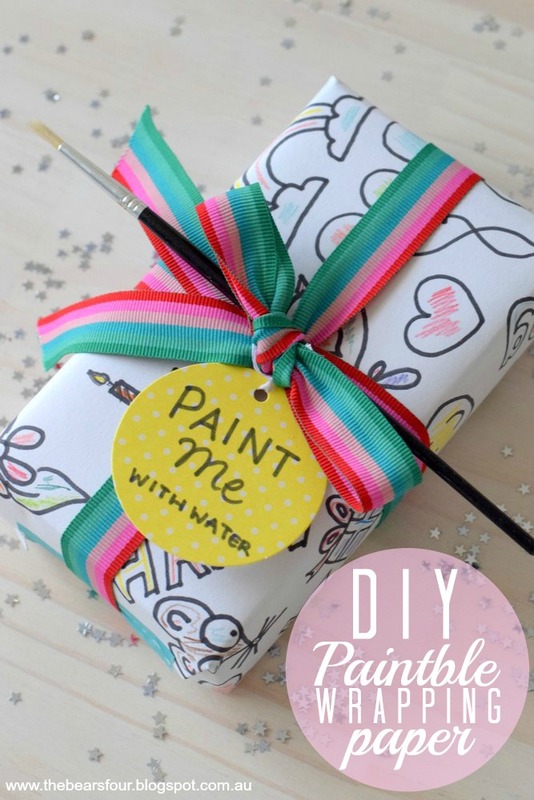 With the season of giving now upon us, it's the perfect time to try out one or all of these gift wrapping ideas. With the end goal to go well beyond, you need to consider enveloping your book using unique gift wrapping paper by a way that nobody could ever figure a book is inside.